The European Political and Law Discourse – international Journal of International Law, domestic Law of European countries, Political Science, Social Communications, International Relations, Sociology is a peer reviewed journal with blind referee system, which aims at publishing high quality articles that may bring innovative and significant theoretical, conceptual, methodological and empirical contributions to the fields. 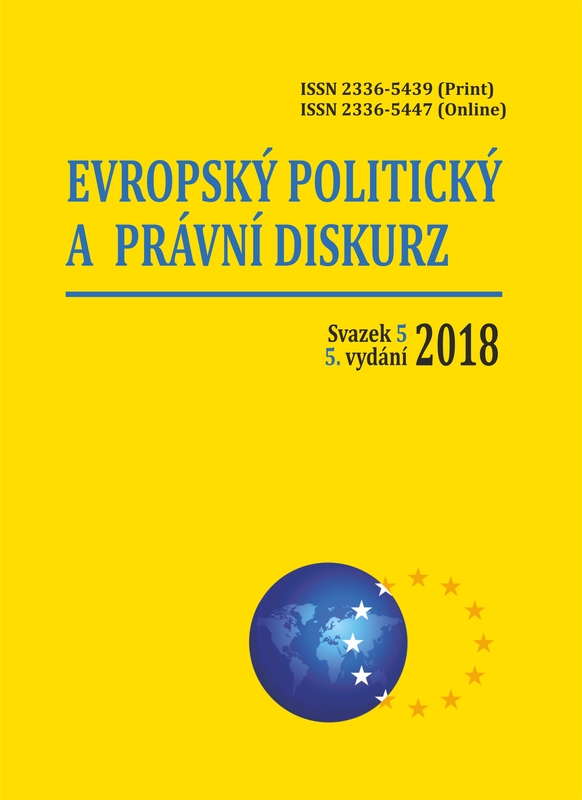 The European Political and Law Discourse has a particular interest in interdisciplinary approaches to law and political science, social communications and sociology, whether through comparative or single case-study analysis, but by no means restricts its interests to these spaces, welcoming any relevant contribution from and about different parts of the World. The European Political and Law Discourse accepts original articles which are not under consideration elsewhere at the time of submission. The Journal is indexed in the Index Copernicus International Journals Master List (impact-factor is ICV 2015: 65.70; ICV 2016: 64.77; ICV 2017: 80.50) and in the International Scientific Indexing (impact-factor is 0,849).